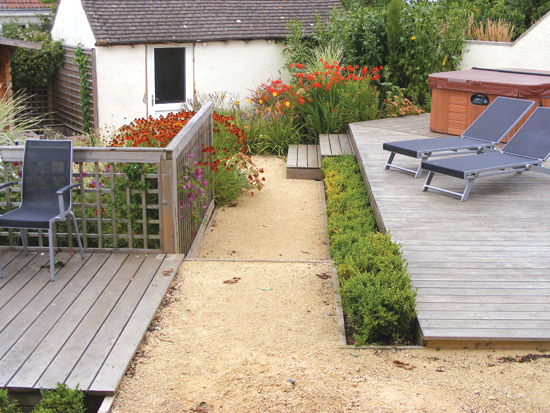 This garden started out as a rough-grassed slope, with a conservatory at the top, and a purpose-built gymnasium at the bottom. 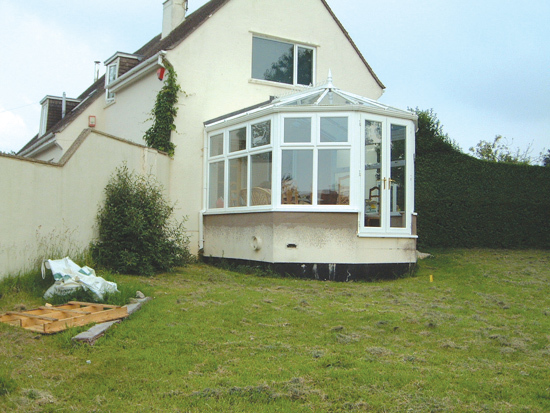 The conservatory was unusable, as the drop from door to garden was over three feet high ! 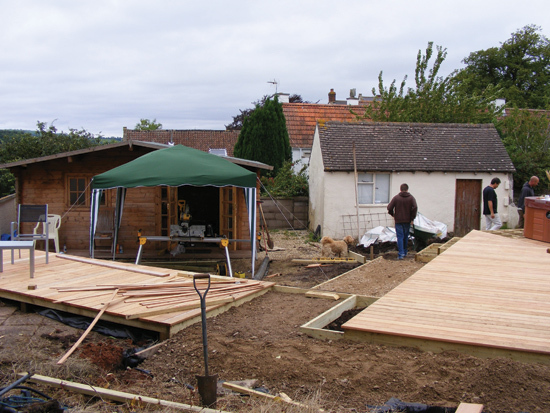 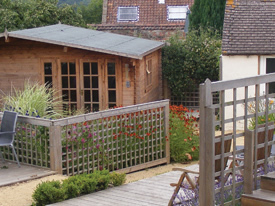 The deck in western red cedar at different levels addresses the problem by rationalising the passage from the house, through the garden and down to the gym building. 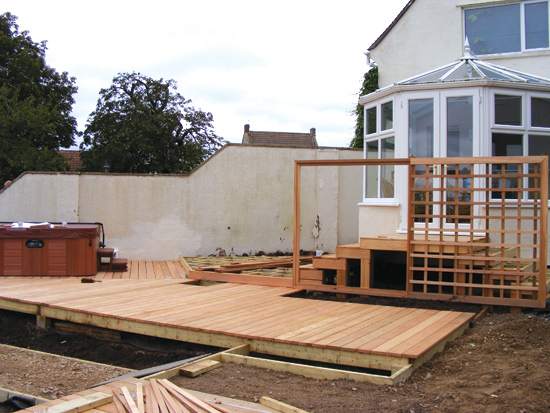 There is a small flight of steps from the conservatory door down on to the deck, which has space for the spa tub, and space to sunbathe or relax around the dining table. 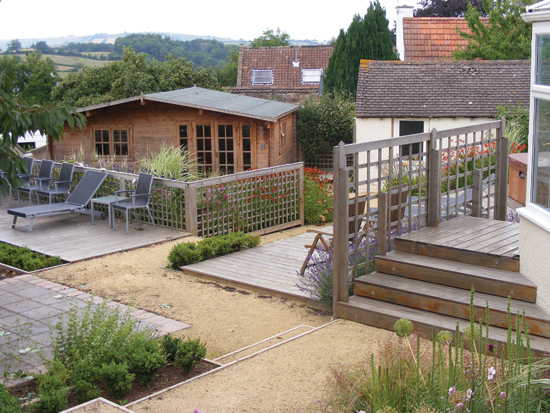 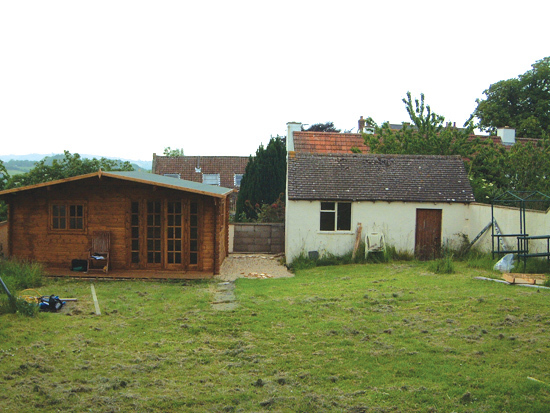 A complementary decked area offers the opportunity to enjoy the view across the adjoining countryside. 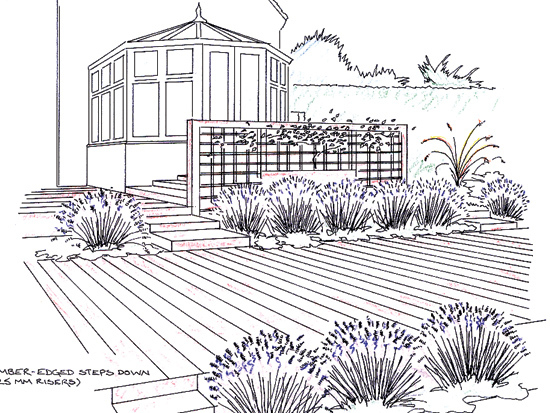 Three separate plant beds feature different mixed plantings, each suited to their own particular aspect, with year-round interest and plenty of colour. 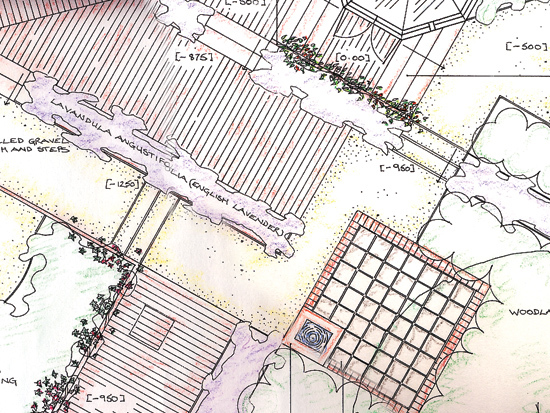 The beds are appealing individually, but also work together to give the garden a multi-layered look.